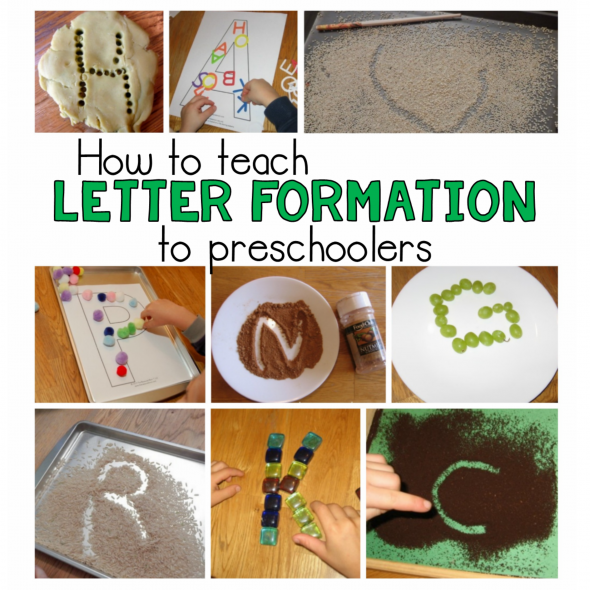 We love to find creative ways to write the alphabet — they’re great fine motor activities for toddlers, preschoolers, and kindergartners. Browse through our alphabet collection to find loads of fine motor fun! Hi Erin! Yes, I will be sharing all the letters by November. 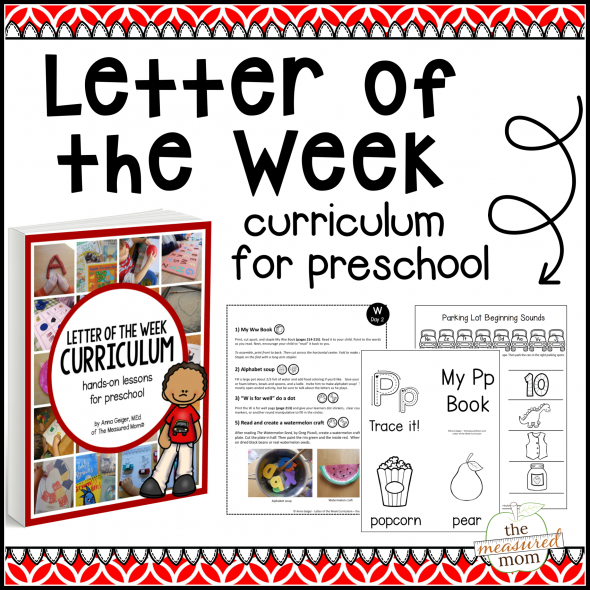 You CAN get all the handwriting pages early (see this page: https://www.themeasuredmom.com/teaching-handwriting-2/), plus giant block letters (see this post: https://www.themeasuredmom.com/printable-block-letters-150-ways-fill/). I look forward to having the whole alphabet complete — but as you can guess, it takes quite a bit of time to get the ideas and activities together. 🙂 Stay tuned! I Just updated to include the letters we’ve done so far. We’ll be sharing letter J soon, and the rest of the letters (P,U,R,S) will be shared by the end of the November. We’re working hard to finish it up! Thank you very much! Your work is amazing, gorgeus! I love your website! I can’t use everything because I teach in Catalan, but I think I can use some of them and adapt others! Thank you so much for your wonderful site! Thank you, even more for sharing your knowledge with those of us who want our children to love learning and reading. I have printed off the lower case and upper case alphabet letters for my son to practice. He is 3.5 years old and in PK3 preschool a couple of days of the week. I helped in his class one day as the teachers were trying to “tell” the children how to write their letters. I saw the struggle and thought there has to be a better way. I have printed off your letters and made each child a book. I have placed the letters upper/lower case front to back in a plastic sheet protectors. Each child will receive a white board maker and they will now all be able to learn together by following the correct way to write the letter and then be able to wipe off the sheet protector after each use. This saves on paper and printing. I thought I would share this idea with you and that you may elect to share this with your parents and teachers. Most of us have limited resources and this is a very cost effective measure. This is a wonderful idea, Scottie! Sometimes I have problems with dry erase markers coming off a surface. I’d love to hear how this works for you and also the specific brand of dry erase markers you’re using so I can recommend them to my readers. Thanks so much for the idea -it’s always great to save on printer ink! I want to start doing a letter a week following your hands-on activities (making the letter A out of apples.) Do you teach the lowercase letters while doing the uppercase letters? My daughter is almost 3 and has a lot of interest in the letters. I was planning on going in alphabetical order and not focusing on writing the letters yet. Thank you so much for sharing these great ideas, I am finally getting my three year old interested in Writing. thank you so much. Yay! I’m so glad to hear it, RInzin! When you are teaching handwriting, do you do one letter at a time and go through all the different activities (included writing) before moving to the next letter, or do you do all the letters on the first activity before moving on to the next activity? Does that make sense? Here’s how I do it. I am doing letter of the week with my 3 year old right now, and he’s not ready to do worksheets. So I just pick some activities I think he can do. We start with putting objects on the printed block letter, and sometimes I write the letter with pencil and he puts objects on it. That’s as far as he’s gotten right now. For kids who are starting to hold a pencil correctly, I would go farther on this list. It just depends on what your child is able to do without frustration. Since I choose to do letter of the week, we do whatever he can do for the letter we’re learning before moving on the next week. When he is four (or an older 3-year-old, depending on how he develops) we will probably do more letter practice, but less formally, so he will be ready for kindergarten. Does that help? Thank you so much for all the resources you make available for everyone! I am so excited to explore all your ideas. Fantastic work so far…Thank you again!!! You’re very welcome, Venessa – I’m so glad you’ve found my site! Thank you for providing a great and free resources.You made my teaching so easy. Thank you for an amazing resource! I’m excited to have found your blog. My almost 5 year old grandson is very resistant to handwriting and has only recently begun to show some interest. He is slowly making progress. He just wrote his name for the first time about six weeks ago. It was wobbly and scribbly of course but it was all 6 letters of his name. I was thrilled! We have a long way to go to be ready for kindergarten in the fall (with handwriting) so I’m excited to try your ideas for letter formation. I’ve looked for pages with larger sized letters and dots showing letter formation and have finally found them here. Thank you so much! I’ve only worked with lower case letters with my grandson. Why do you feel it’s best to begin with upper case? Hi Diane! I’m glad you found this page! We start with upper case only because those letters are typically much easier. I’d also encourage you to search “fine motor handwriting” on Pinterest. You’ll find a lot of blog posts, many by occupational therapists, with ideas for strengthening fine motor muscles so your grandson can be successful with handwriting. I Love your websites, you have alot of creative ideas, I’m a Kindergarten Teacher. Amazing Ideas and very Informative. Loved your Site. Thank you for the kind words, Ruchika! Hello Anna, i’m following you here a while ago, and i really thank you for your effort and great work. Here in my country there are no specific websites or blogs to teach English language for non-native speaker and to be honest i’m thinking of making one based on my small experience in teaching young learners, so i would ask you when you make the free printable worksheets do you make them out of your mind or you take a sneak peak from other pages and put your thoughts together, and also do you think a week is an enough time for those learners to learn the letter on any subject. The important thing is to remember that while you will often be inspired by others, your work should be original and never a copycat.